Do you really need to wear meditation clothing during your practice? Probably not if you are comfortable with whatever you wear. You can wear anything you like as long as you are comfortable and relaxed with it. Loosen up your belt, scarf, tie or anything you are wearing and just sit and meditate. It really does not matter. However, some might prefer to wear a Zen Buddhist meditation clothing e.g traditional meditation robes, meditation cloak, samue, kimono as wearing these clothes will not only provide the comfort that one needs during meditation but it also reminds you of your dedication towards meditation. It also adds to ease of sitting. In this post today, I will try to explain about different types of Zen Buddhist meditation clothing and when one should use it. A robe is a long and loose outer garment reaching to the ankles. Zen robes are traditional, formal clothing that is worn often during meditation practice by beginners, student or a layperson. These are worn during longer retreats and are appropriate for use in a meditation hall. Zen meditation robes are preferred to wear over other clothing for some special ceremonies. A meditation robe is used by practitioners to improve the comfort level as it keeps you warm and helps to be more focused during meditation. Since it is a loose garment, it provides ample space for trying different meditation posture. Wearing a meditation robe gives makes you motivated toward your practice and it reminds you of your dedication. Many people love the style of it. If you attend a retreat or a meditation class then you may be required to wear a zen meditation robe as it. In some meditation retreat center and classes, they may need you to wear a robe over other clothing as it gives a uniform look to all the practitioner. So it is not only the monk who wears a robe, you can also wear it if you like. Meditation cloak with hood is nowadays getting more popularity over other meditation clothing as it provides maximum space for all possible meditation posture and allows you to meditate more comfortably than before. The hood gives the wearer a sacred personal environment for meditation. Hooded meditation cloaks keep you warm and comfortable on long meditation retreats and cold winter mornings. It is easy to wear as it slips easily on your body with minimal movement and on top of that, it looks cool over other types of clothing. The word Samu of samue means daily work of Zen Buddhist monks. The costumes that are worn by zen monks during work is popularly known as samue. 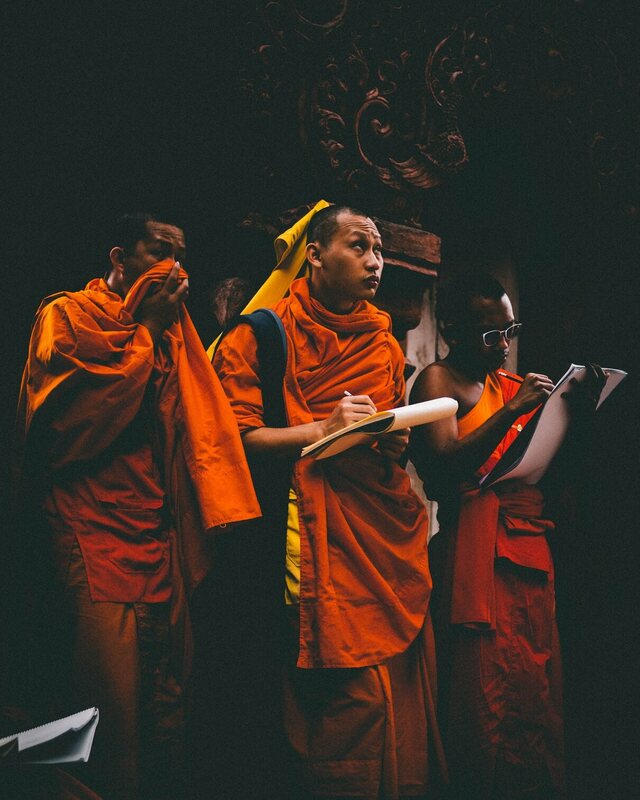 Samue is the traditional clothing worn during daily work such as temple maintenance and field work by Buddhist monks. These days samue are becoming more common among western practitioners who use it as traditional meditation clothing. There are no such rules as how, when and where to wear a samue. The usual length of a samue is used to be to the knees. But nowadays a pant is also worn with the top(samue) in order to make it more stylish and comfortable. 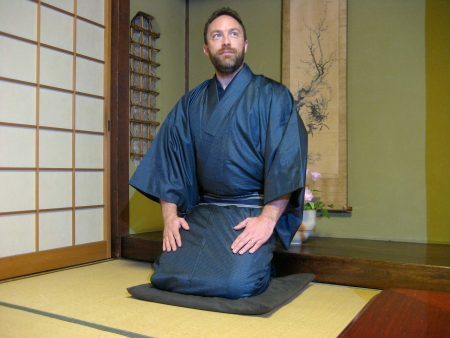 Kimonos are more formal meditation clothing than meditation robes and samue. The kimonos are often worn for important festivals and ceremonies. It is a formal style of clothing associated with politeness and good manners. The sleeves of the kimonos may fall to the ankle or beyond. They are not only great clothing for meditation, but they can also be used for lounging at home or the beach and wearing to sleep. 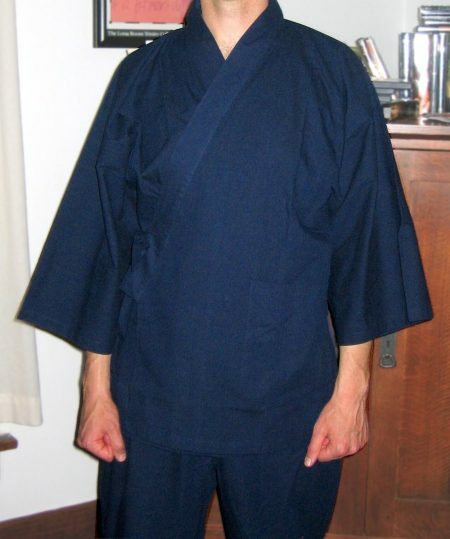 When it comes to zen meditation clothing, there is not much difference between them. Pretty much everything that a man wears, a woman can also wear. Women prefer to wear samue and kimono for meditation as they fit more comfortably to a woman’s body. Also, they add to their style. Although men love to wear meditation robe and hooded meditation cloak; there is no such limitation and regulation on who to wear what when it comes to meditation clothing. It is all matter of comfort and personal style preferences. Meditation shawls can be used by both men and women during their practice. A good meditation shawl is prepared from soft and lightweight wool to prevent you from wind and cold. They are normally lightweight enough for summer, yet warm enough for winter. It gives you warm and cozy feeling throughout your meditation session making it a pleasant experience.